Since the dawn of aviation in the early 1900’s, many new and innovative aircraft have taken to the skies. With goals of safety, speed and endurance on the minds of designers and engineers, regulations were soon developed to control the quality and safety behind each aircraft. Aircraft soon became structured under two categories: standard or special. The popular fixed wing training aircraft fall into the normal and utility standard category such as the Cessna 150, Cessna 182 or the Piper Cherokee get preferred rates from insurance carriers. These are rates that the insurance underwriter will offer at lower premium amounts than other aircraft due to ease of parts availability and a long and stable safety record. Although still regulated by the FAA, experimental (amateur built or kit-built aircraft) are very popular because they offer owners & builders more flexibility in the technology and parts that can be utilized in their airplanes and helicopters. 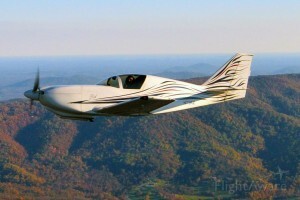 However, since these aircraft are not factory built, many models are more unique and not standardized; therefore the cost of repair for these experimental aircraft can be more expensive than a standard aircraft. No matter the category your aircraft may be registered in, agents at Aviation Insurance Resources (AIR) are ready to shop all the major insurance markets that are most competitive for your type of aircraft insurance risk. To find out more about obtaining the best rate for your aircraft insurance, please contact Aviation Insurance Resources by calling 877-247-7767 or visit AIR-PROS.com today to receive your free Aircraft insurance quote!